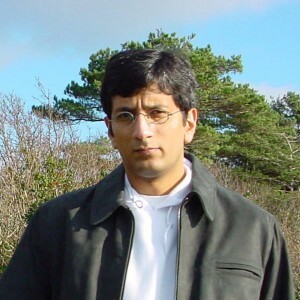 Dr. Awais Rashid is a faculty member in Lancaster University’s Computing Department, where he leads research in aspect-oriented software engineering. One of his core interests is application of aspect-oriented techniques for supporting object persistence and developing architectures for evolvable and adaptable object data management systems. He has been working in object data management for over 10 years and applying aspect-oriented techniques in this context for over 7 years. Awais is author of Aspect-Oriented Database Systems (2003) and co-editor (with Akmal Chaudhri and Roberto Zicari) of XML Data Management (2003). He has authored several refereed papers and given a number of invited talks and seminars on object data management. He is program co-chair for the International Aspect-Oriented Software Development conference in 2006 and has served on its program committee and organising committee since its launch in 2002. He is founding co-editor-in-chief of the recently launched Transactions on Aspect-Oriented Software Development by Springer and is a member of the editorial board for IEE Proceedings – Software. Awais coordinates the European Network of Excellence on Aspect-Oriented Software Development (funded by the European Commission).